In a 2017 study released by Bullhorn, a popular applicant tracking system, increasing profitability and driving revenue growth are the top priorities of staffing firms in the United States. Staffing firms also struggle with talent shortages. In turn, this requires them more recruiter time to source, screen, and qualify candidates. But recruiter time is another problem. Recruiters often need to perform a lot of administrative tasks, preventing them from focusing on more important tasks such as sourcing and screening resumes and pre-qualifying candidates. As job orders fill out, traction is become more and more of a luxury for staffing firms. Hence, the diminishing profit margins. One way of dealing with this problem is by tapping extra hands, usually by outsourcing parts of the recruitment process. The average recruiter pay in the United States stand at around 25 dollars per hour. Outsourcing extra talents is cost-effective because it saves firms from the trouble of procuring mandated benefits and other overhead expenses. To save more on costs, however, offshoring outsourcing is a better solution. If a firm offshores recruitment from the Philippines, for example, the recruiter pay can be as low as 17 dollars per hour only. So how does offshore RPO work? Offshore RPO works by staffing or recruitment firms outsourcing its recruitment process, in part or in full, to other offshore firms with similar capabilities. By having an “extension” of sorts, the client can get more work done which is especially advantageous for VMS arrangements. These offshore firms also have relatively more cost-efficient services as compared to the client’s own country. Countries in the Asia Pacific, with its RPO market expected to expand nearly fourfold by 2022, make good RPO offshoring destinations. They’re known for their more affordable labor. The Philippines is a country to watch out for. According to the ASEAN Briefing, the country’s RPO industry is set to steadily rise for years to come. Thanks to its cost efficient recruitment solutions! But affordable labor aside, what else does the Philippines have that makes it a good offshoring site? Payscale.com. (2018). Technical Recruiter Salary (Philippines) . [online] Available at: https://www.payscale.com/research/PH/Job=Technical_Recruiter/Salary [Accessed 27 Aug. 2018]. Payscale.com. (2018). Technical Recruiter Salary . [online] Available at: https://www.payscale.com/research/US/Job=Technical_Recruiter/Salary [Accessed 27 Aug. 2018]. Orion Talent. (2018). How to Solve Recruiting Challenges with RPO [INFOGRAPHIC] | Orion Talent. [online] Available at: https://www.oriontalent.com/recruiting-resources/blog/73/how-to-solve-recruiting-challenges-with-rpo-infographic [Accessed 26 Aug. 2018]. Staffvirtual.com. (2018). RPO to the Philippines Set for a Banner Year in 2016. [online] Available at: http://www.staffvirtual.com/hr-outsourcing-to-the-philippines-set-for-a-banner-year-in-2016 [Accessed 5 Aug. 2018]. Asean Briefing. (2017). [online] Available at: https://www.aseanbriefing.com/news/2017/04/17/business-process-outsourcing-philippines.html [Accessed 3 Aug. 2018]. Medium. (2017). 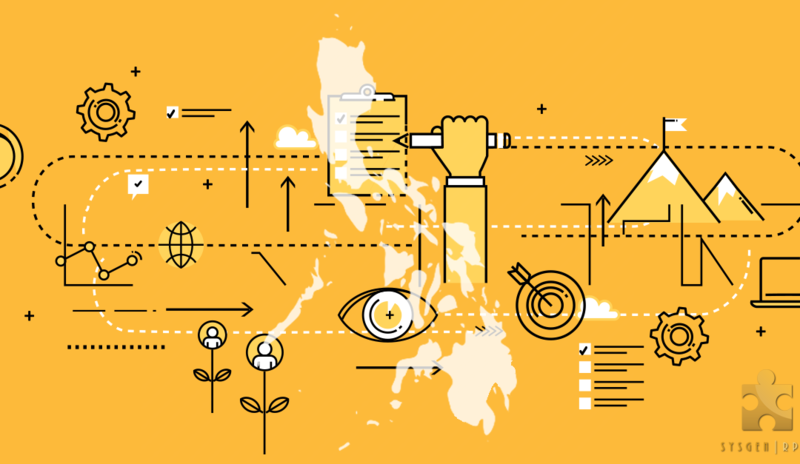 4 Reasons Why Philippines is the ‘BPO Capital of the World’. [online] Available at: https://medium.com/@inigoortega17/4-reasons-why-philippines-is-the-bpo-capital-of-the-world-9f211fc1ef42 [Accessed 4 Aug. 2018]. Del Prado, Fatima Lourdes. (2015). [online] Available at: https://dirp3.pids.gov.ph/webportal/CDN/PUBLICATIONS/pidsdps1536.pdf [Accessed 4 Aug. 2018]. McKinsey & Company. (2018). The Philippines offshoring opportunity. [online] Available at: https://www.mckinsey.com/featured-insights/asia-pacific/the-philippines-offshoring-opportunity [Accessed 4 Aug. 2018]. Asian Development Bank . (2018). [online] Available at: https://www.adb.org/sites/default/files/publication/28359/wp093.pdf [Accessed 3 Aug. 2018]. Newsbytes Philippines. (2018). DICT produces first batch of business analysts for BPO sector. [online] Available at: http://newsbytes.ph/2018/08/06/dict-produces-first-batch-of-business-analysts-for-bpo-sector/ [Accessed 11 Aug. 2018]. Rappler. (2018). [OPINION] Train law: What does it change?. [online] Available at https://www.rappler.com/thought-leaders/192873-train-tax-reform-law-what-does-it-change-explainer [Accessed 4 Aug. 2018]. Globalstf.org. (2014). [online] Available at: https://globalstf.org/wp-content/uploads/2015/06/Press_Release_Manila_Philippines_2014.x73414.pdf [Accessed 11 Aug. 2018]. Psgglobalsolutions.com. (2018). Offshore Candidate Sourcing | PSG Global Solutions. [online] Available at: https://psgglobalsolutions.com/services/sourcing-case-study/ [Accessed 11 Aug. 2018]. Psgglobalsolutions.com. (2018). VMS Recruiting Services Case Study | PSG Global Solutions. [online] Available at: https://psgglobalsolutions.com/services/vms-recruiting-case-study/ [Accessed 11 Aug. 2018].